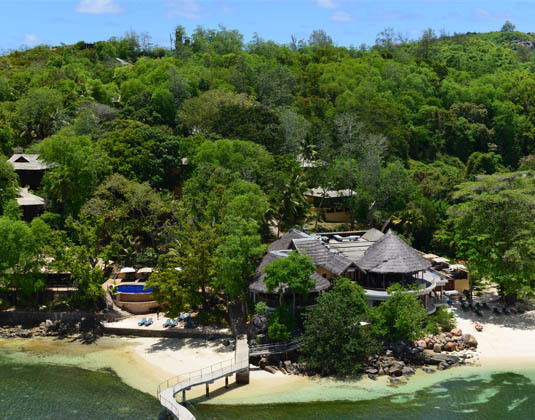 Nestled into the lush hillside overlooking the sea, this boutique hotel sits at the entrance of the Sainte Anne Marine National Park on tiny Cerf Island. 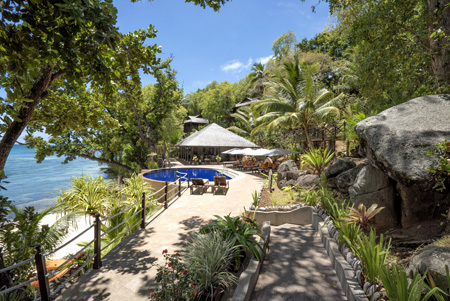 Designed to deliver a true Creole experience, with traditional Seychellois architecture, the spacious villas have been built to high standards and blend naturally into the surroundings. Relax and listen to the sound of the breeze on the beach or beside the infinity pools, head below the waves to see the abundant sealife or stroll amongst the tropical vegetation. 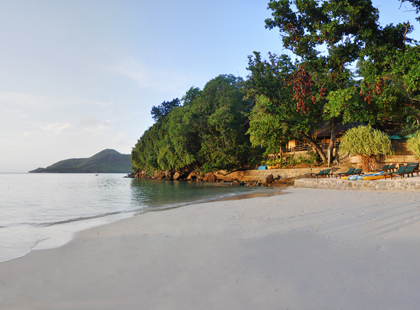 An ideal location for a truly memorable tropical holiday. 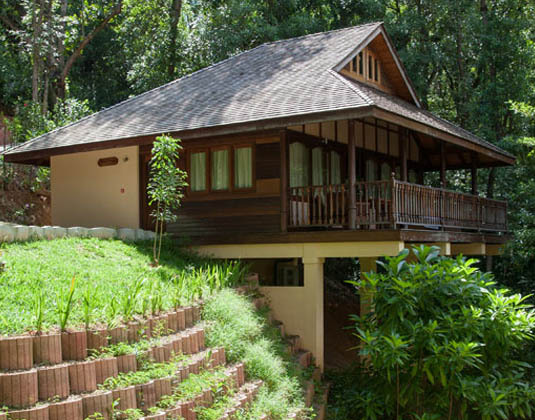 In hillside villas with air-conditioning, four-poster bed, half open-air bathroom with double bath, outdoor shower, DVD, mini bar, safe and deck with sunbeds, dining table and chairs. 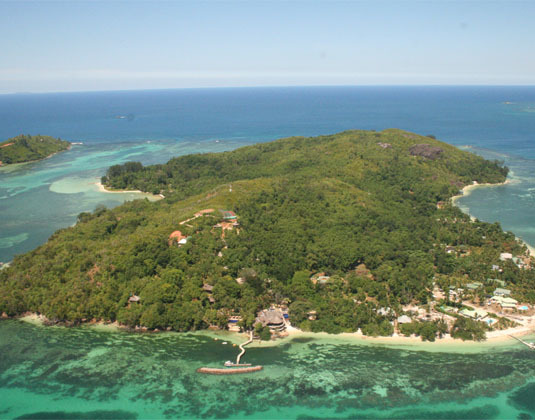 10 minutes by speedboat from Mahe. Helicopter transfers available at a supplement. Children below 7 years are not accepted. Early booking room discount up to 35%: On selected dates between Sep 18-Oct 19. Minimum stay may apply. Room discount up to 25%: Aug 18-Oct 19. Discount is 20% if you stay 4-7 nights or 25% if you stay at least 8 nights. 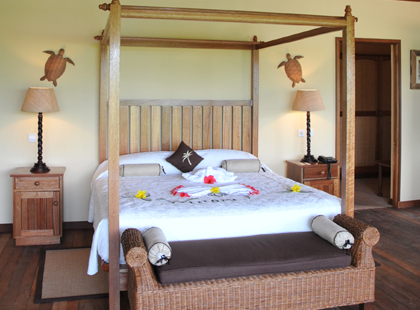 Honeymoons: Aug 18-Oct 19 if you stay 4 nights receive 25% room discount, 10% spa discount and a candlelit beach dinner.